One, two, orange. 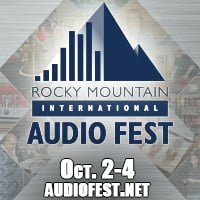 Almost unbelievably, the Debut F5 floorstander wasn’t the biggest deal to be found in the ELAC room in Denver. That honour goes to the Discovery, a dedicated Roon Server and Endpoint (playback device) that’s been in development for two years; just add iPad or Android tablet for remote control. 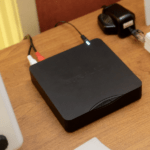 The Discovery is an unassuming box whose Quad Core ARM processor runs a Linux OS. To ensure robust performance, Roon runs on a dedicated EMC module and the 8Gb of RAM is solely for storing Roon’s metadata layer. Music storage is BYO and externally connected via USB on the back of the unit. Also out back are 1) a digital coaxial output and 2) a trio of analogue outputs that each present as individual Roon Endpoints. That means D/A conversion can be both external or internal. I asked about the Discovery’s DAC but whilst the demo units are still in prototype phase ELAC are holding the chip identity as ‘TBC’. Get this though: ELAC are running a modified version of Roon on the Discovery with which they have integrated three more streaming services: Deezer, Rhapsody and TuneIn. It’ll be interesting to see if Roon’s metadata tentacles penetrate as deep with these services as they do with Tidal. The Discovery’s Stateside RRP has been pegged at US$995 but pushing the value-for-money quotient still further is the inclusion of a lifetime’s subscription to Roon (worth US$449). This is a no-muss-no-fuss Roon solution for those who just wanna plug-n-play. 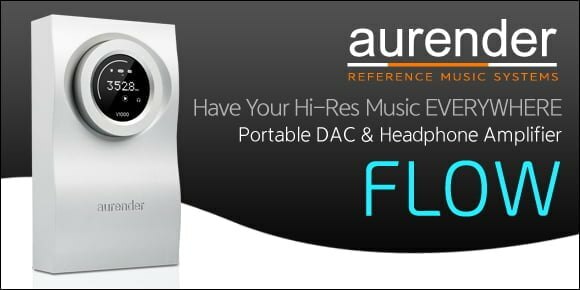 ELAC say there’ll be even more to demo on the Discovery come CES in January – DAR will be there to catch it. Just to be clear about Elac’s upcoming product, the Discovery is designed to be a self-contained device, and has a built-in limited version of Roon Server installed on it. It won’t have all of Roon’s features like lyrics, DSD and high-resolution formats, or the ability to stream to PCs, AirPlay speakers, and Roon Ready devices from our partners. The license is tied to the device rather than to you as a customer, so it’s not a Roon Lifetime license, either. The purpose of our partnership with Elac is to provide a simple, turn key version of the Roon experience, but there will always be features in our Annual and Lifetime memberships that are only available by upgrading. Thanks John, very interesting. No Ethernet connection for library seems limiting. ‘No Ethernet connection for library’? – I’m not sure I follow. Care to elaborate? Many people have music files on existing hard drives or a NAS. If storage is limited to USB rather than over the network that would seem limiting. Perhaps I am reading too much into “connected via USB” ? With the Discovery being a server *and* endpoint there’s no reason why one couldn’t just use the latter fucntion and host the Roon server on other, networked hardware. Do you know if the Discovery establish an ad-hoc wifi network? If you are to control the Discovery from a control point, how is it hooked up – is it via your LAN (in this case it probably has an RJ45 on its back)? Elac claims it will be launched right after CES. No idea on the ad-hoc network – that’s a question for ELAC – but I believe the Discovery will come with wifi and Ethernet connectivity.